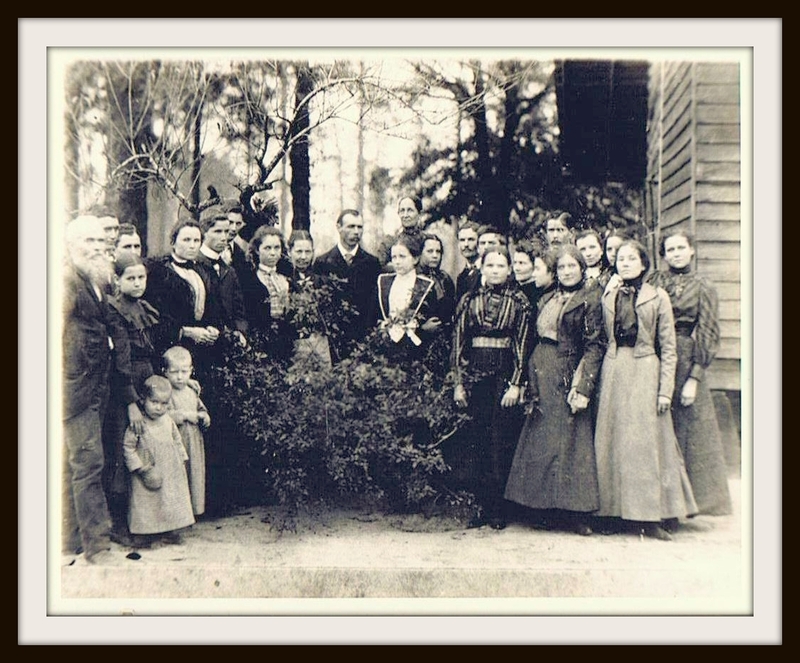 Identified in this photo are William J. Lamb, Jim Touchton, Obbie Passmore, Mary Griffin, Howard Griffin, Haynes Griffin, Sally Passmore Sharpe, Jim Passmore, Luther Langford, Eva Passmore, Lillian Melissa Knight Griffin, the groom Joseph S. Bazemore , Mary Carroll Knight (later married William J. Lamb), the bride Bessie Griffin, Stella Griffin, unidentified man, Alan Tyler, Lillie Tyler Wilson, Lou Fiveash, Pearlie Fiveash, Lee Fiveash, Dolly Knight Bullard, Julie Knight Sloan, Mamie Langford, and Mabel Langford. 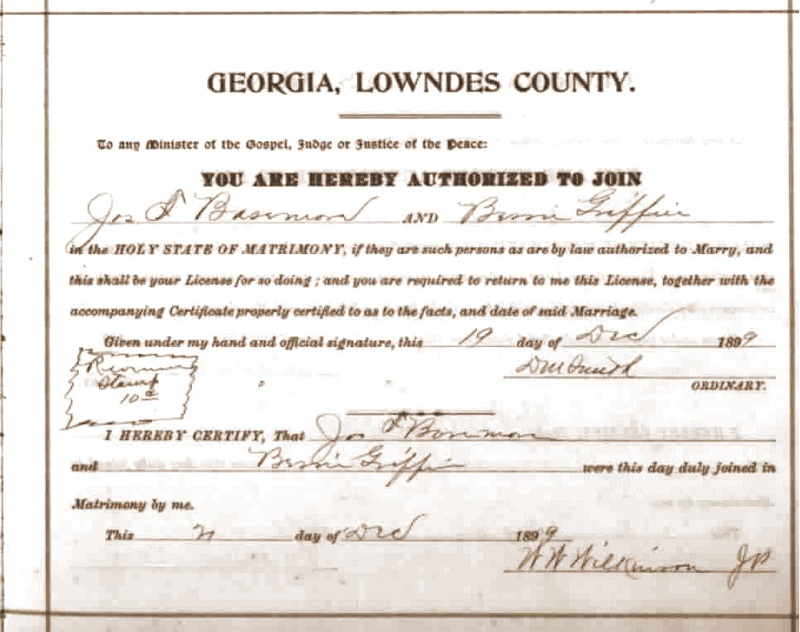 Joseph S. Bazemore married Bessie Griffin on December 20, 1899, in Lowndes County, GA. The groom was a 29-year-old farmer; the bride was sixteen. Bessie was a daughter of Noah Webster Griffin and Lillian Melissa Knight, and a granddaughter of William Washington Knight. She was a great granddaughter of Levi J. Knight, and of Jesse Carroll, both pioneer settlers of the Ray City, GA area.